Ever feel like you skimp out on your dedication to good tasting food just because you have a toddler who lacks food appreciation skills. 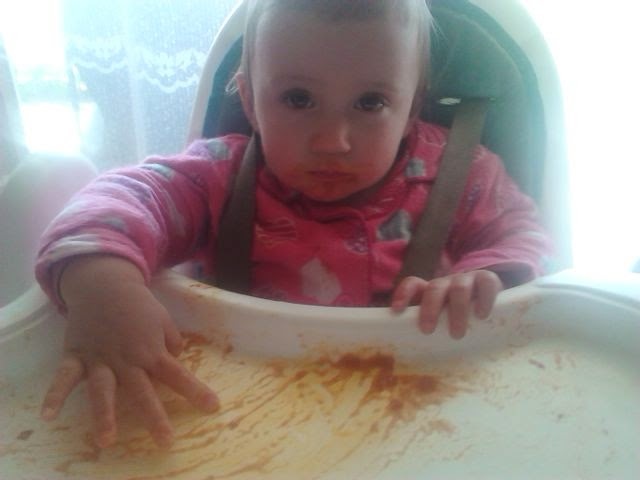 I think there it's really never too early to teach your wee one what excellent tasting food is. Plus they will also enjoy participating later on! 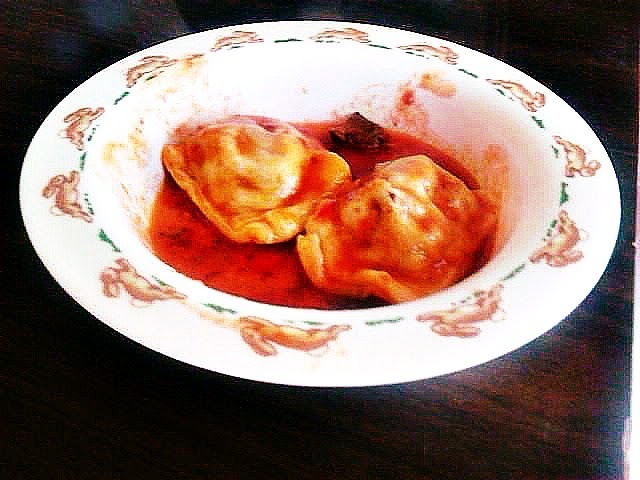 I made this Beef & Tomato Homemade Pasta for us for lunch today! All for less than $8 and it was gorgeous! 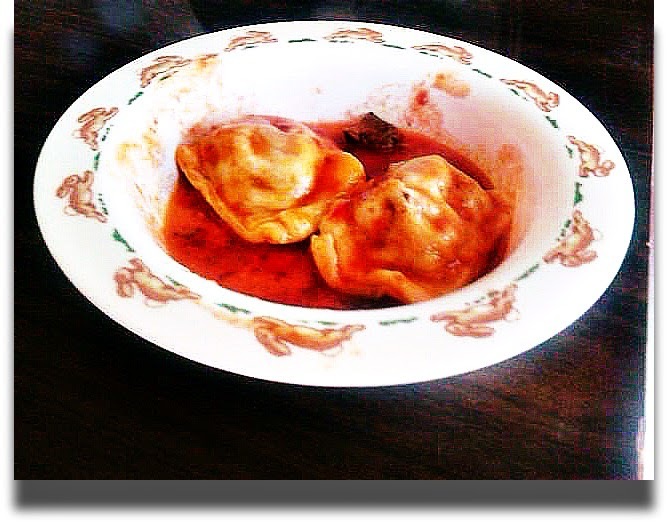 Find the recipe below. BTW no technical machines are required just a bit of love and patience! 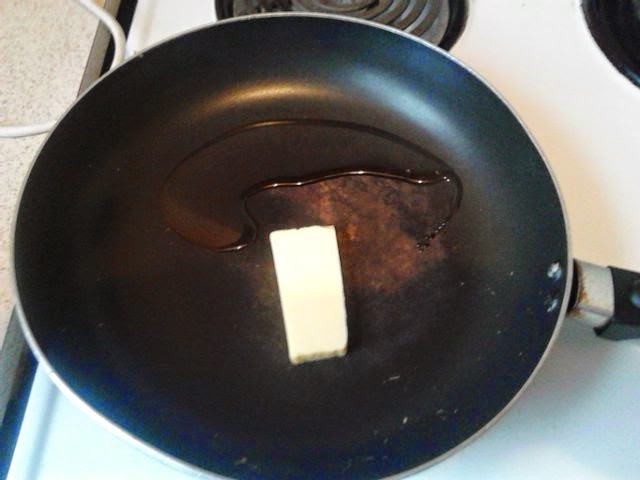 Melt dollop of butter and 1 tablespoon of oil in a fry pan and heat up until pan is "Steak cooking temperature"
Make sure your piece of steak (topside or rump) has sat at room temperature for about an hour before cooking for best quality! 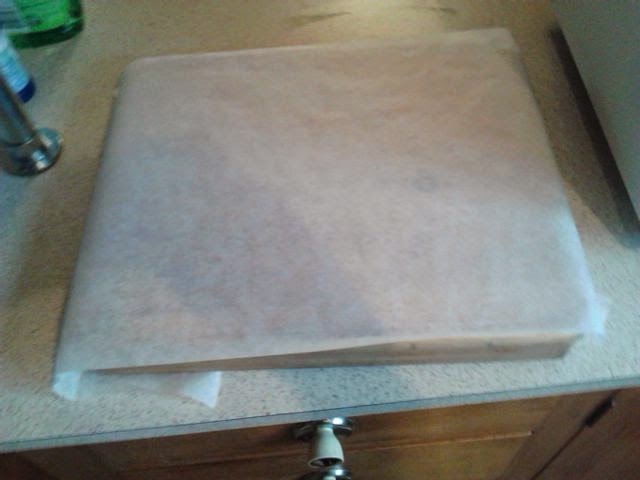 Line a board for your dough with baking paper, it makes the whole job easier. Make sure it's secured underneath. 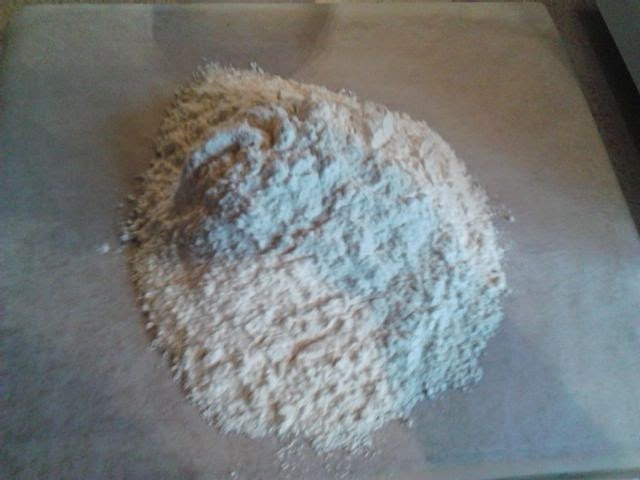 Place 2 cups of flour and 1/4 of a teaspoon of salt in the middle of the board and make a well. 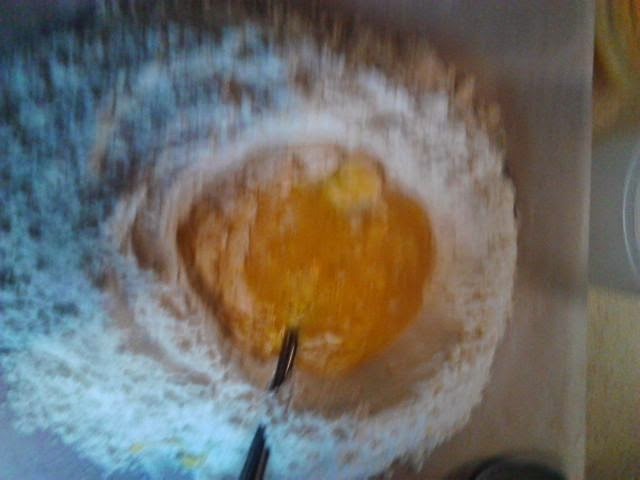 Whisk 3 eggs, 1 tablespoon of milk and 1 teaspoon of Olive Oil together. 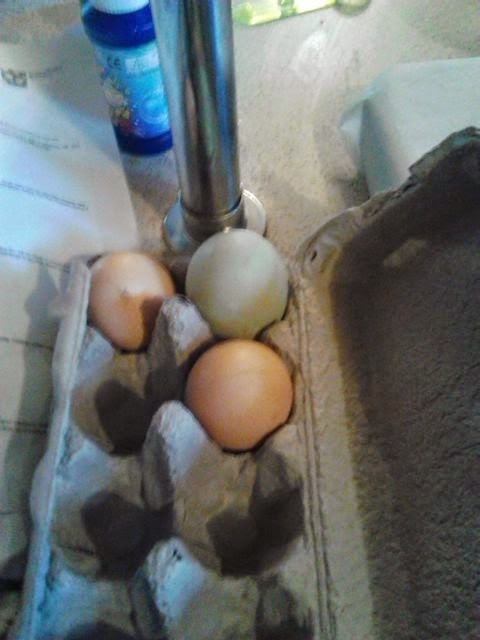 I always use one duck egg for flavour and colour. 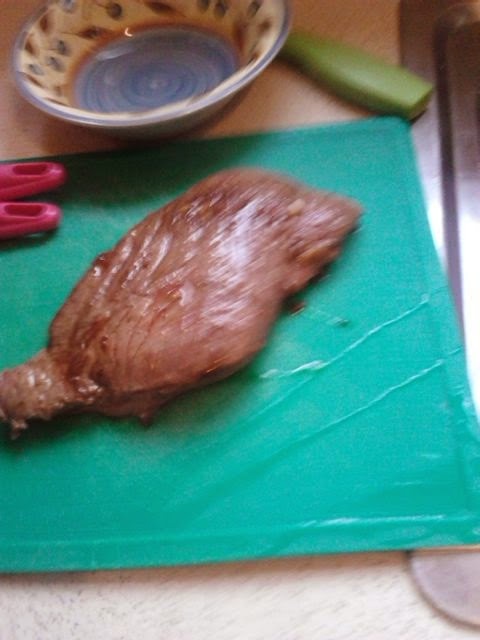 Add steak to pan, fry for about 4 minutes on each side then cover with pot lid for 3 minutes. 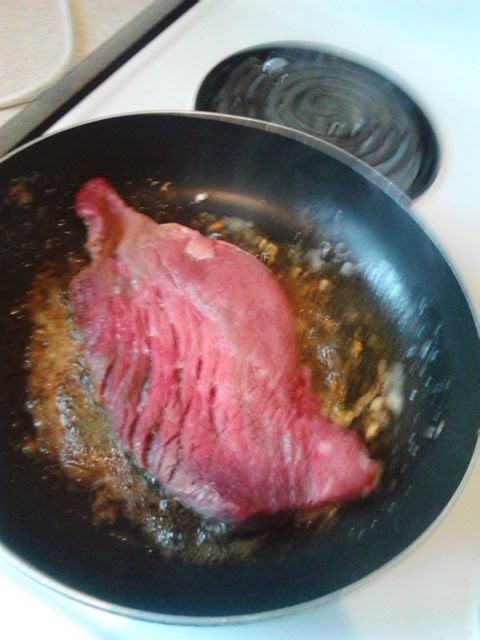 While steak is cooking add egg/milk combo gradually into the centre of the well. 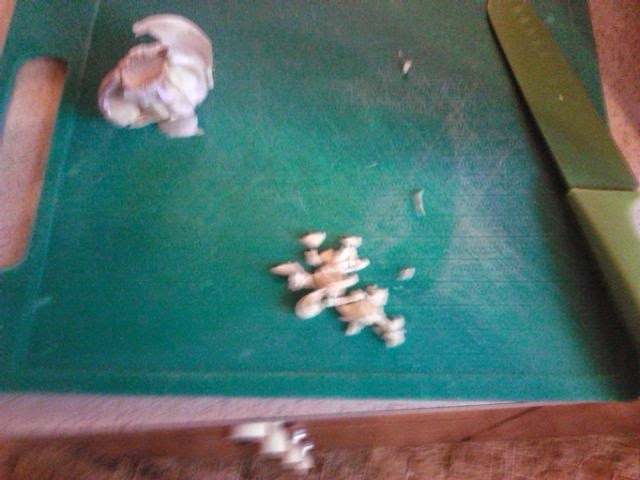 Go around the edges and combine it well without letting it spill over the side. It takes a little bit of patience. Best way to Knead. fold half towards you then push away from you with the heel of your hand, half-turn and repeat. 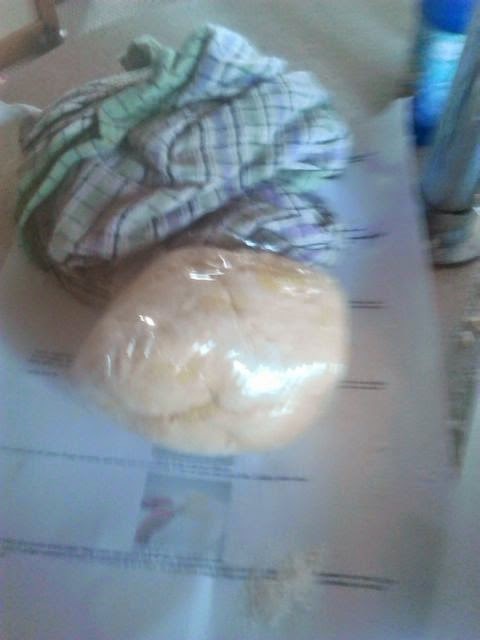 Once it is suitably kneaded and is smooth, wrap tightly in plastic wrap and rest for 15 minutes. 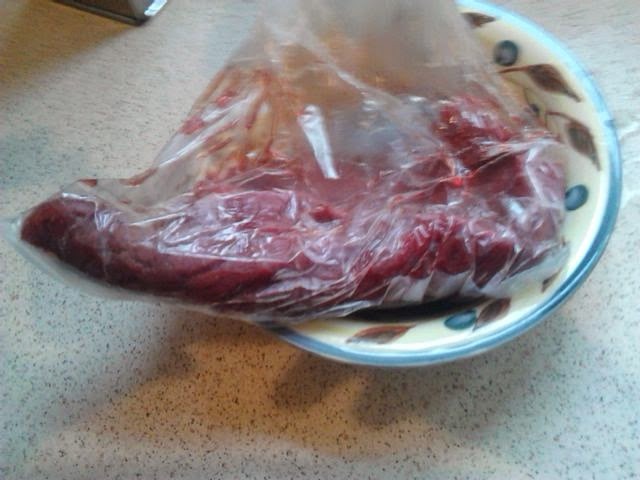 Retrieve your steak from the pan and let it rest. 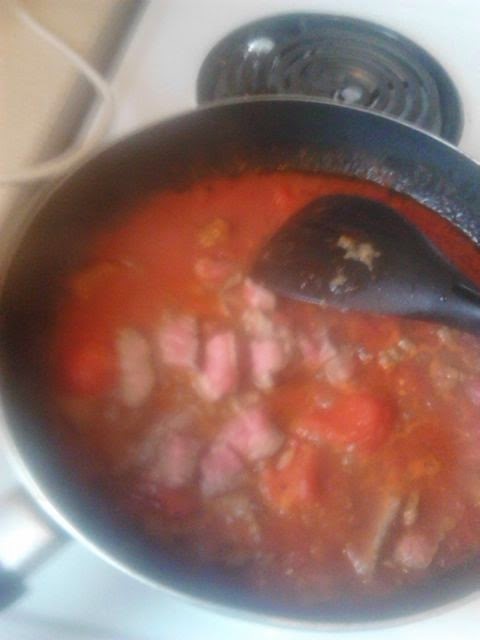 Add steak to sauce on the stove and leave to simmer. Add seasoning to your taste. 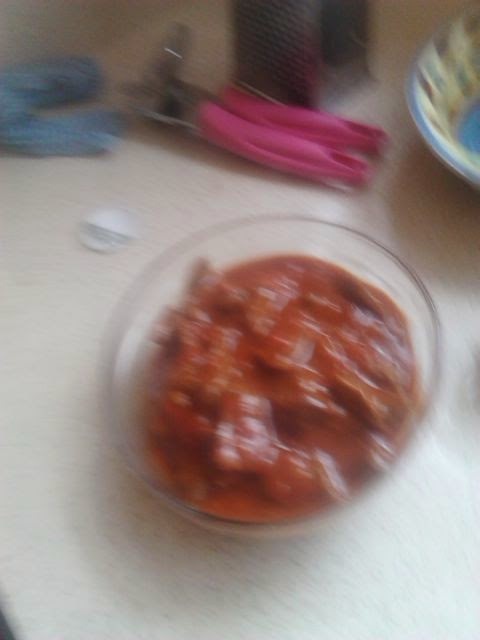 Once the meat is suitably juicy fish the meat out with a little bit of the sauce and set it in a bowl to cool. 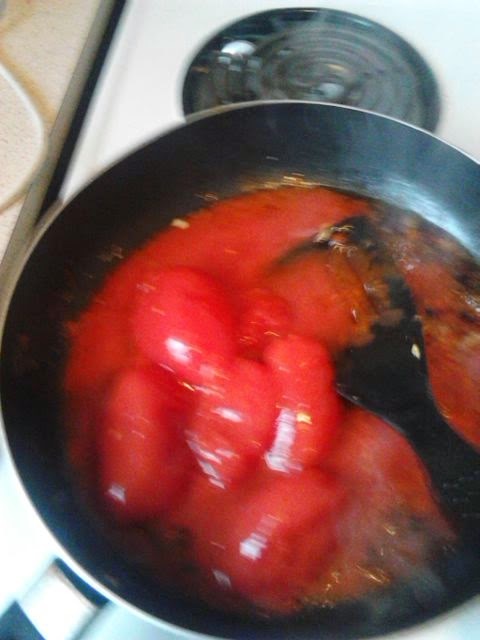 Add one cup of water to the remaining sauce and leave to simmer on the stove on a very low heat. 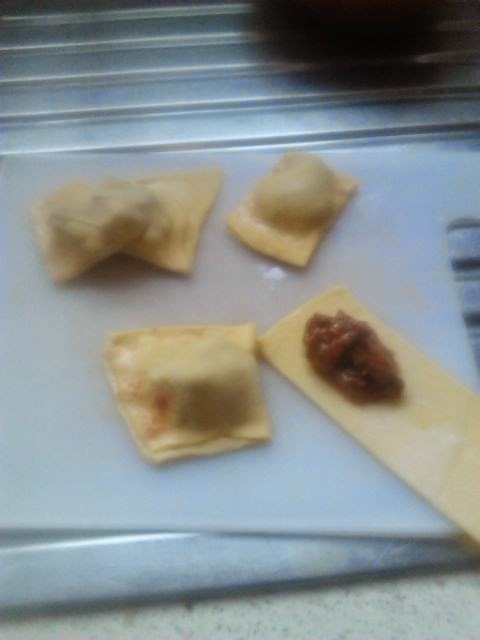 Roll out pasta with rolling pin as thin as possible without breaking. 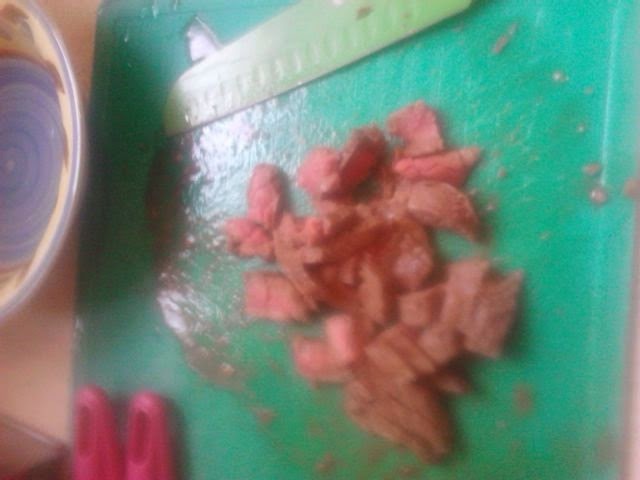 Cut into strips and gently place in some of the cooled steak and tomato mixture. 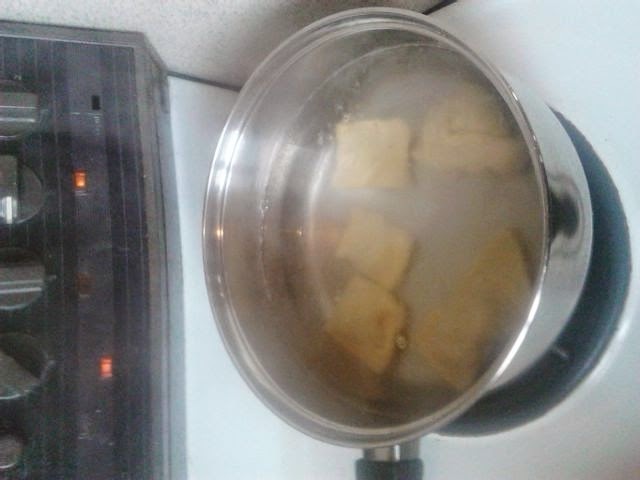 Place it into the boiling pot of water. 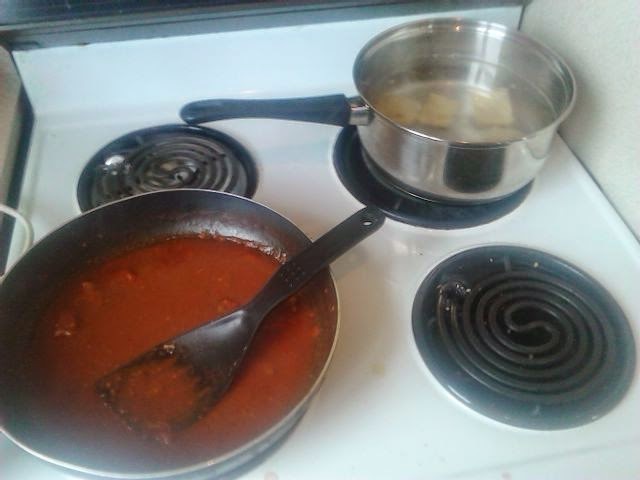 Don't overcrowd the pasta pot! 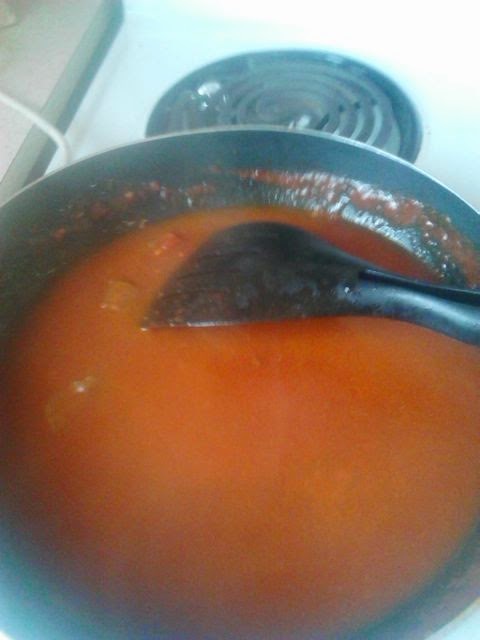 Once the pasta start to float add it to the sauce pan and let it soak up all the juices.